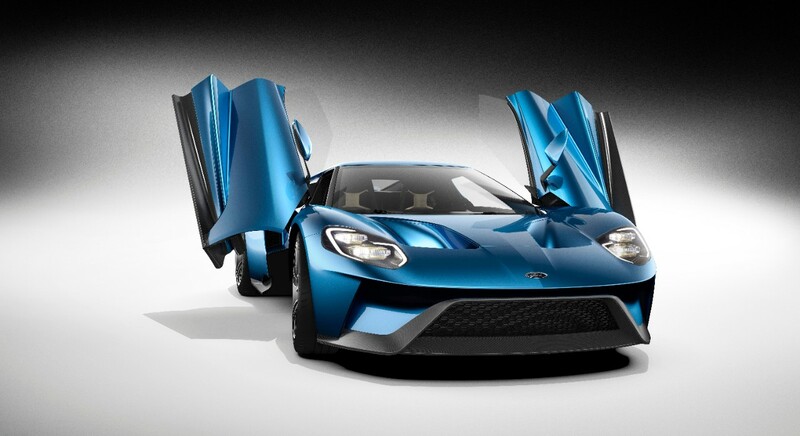 The badass Ford GT will be arriving in showrooms soon as production started in late 2016. This beautiful supercar is certain to be a hot item for supercar enthusiasts and collectors. 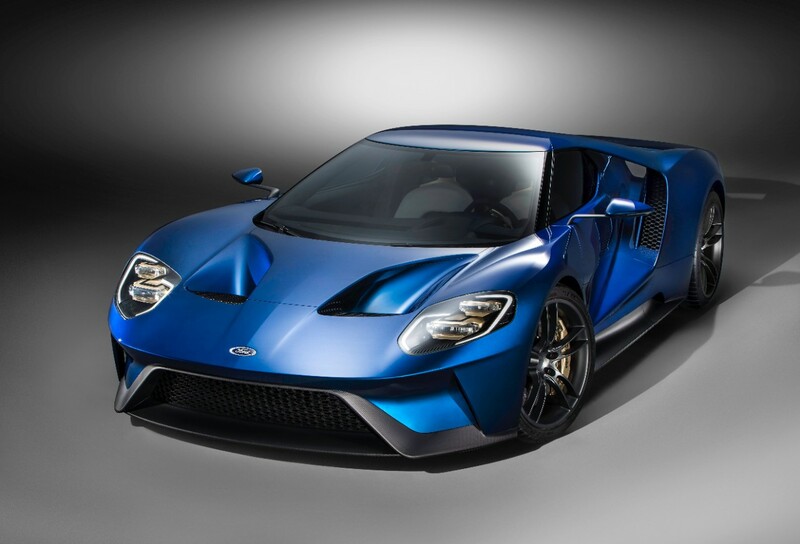 Ford has announced that the new twin-turbocharged Ford EcoBoost V6 engine in the Ford GT will produce more than 600 horsepower, making it the most powerful EcoBoost production engine ever. Some were skeptical when it was announced that the GT would come with an EcoBoost V6 engine but this news should make fans happy that the power they crave will be there. 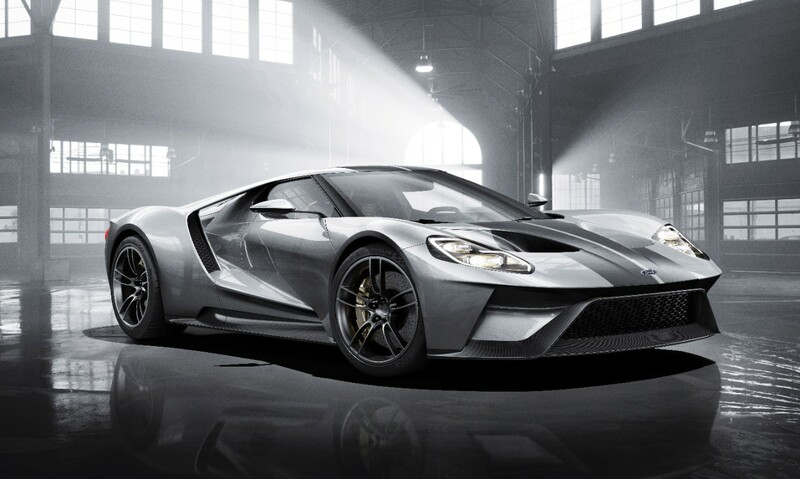 The new GT celebrates the 50th anniversary of Ford GT race cars placing 1-2-3 at the 1966 24 Hours of Le Mans, so this is a big deal for Ford, and with so many supercars hitting the market it will be interesting to see how it performs regarding buzz and sales. 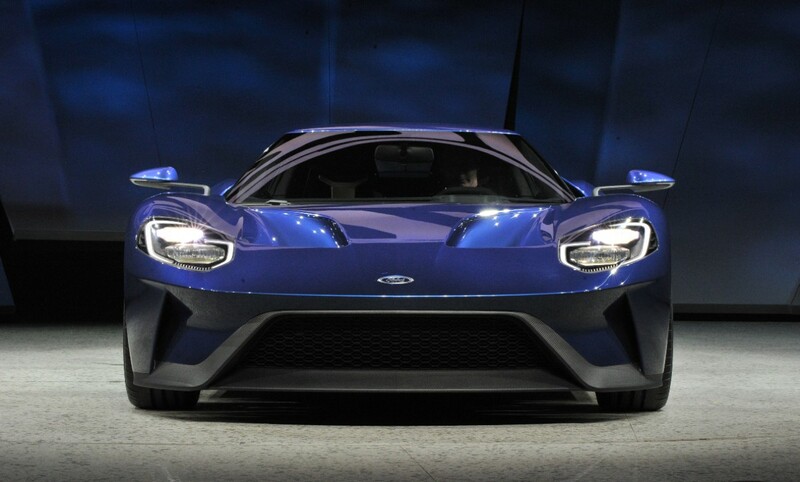 Ford also notes that the GT is one of more than 12 new Ford Performance vehicles coming by 2020, joining vehicles such as the Focus RS, F-150 Raptor, Shelby GT350 and Shelby GT350R. So many choices are out there! But just looking at the design it’s hard to imagine this new GT not being a huge hit. We love the doors . . . The front view is appropriately badass . . . Overall the GT strikes a powerful pose . . .
Ford emphasizes the efficiency of the engine – a key attribute of its endurance racing-derived powertrain. Ford’s twin-turbo EcoBoost V6 raced to three wins in its first season of the IMSA TUDOR United SportsCar Championship in 2014, including a win in the prestigious 12 Hours of Sebring, and won the 24 Hours of Daytona to start the 2015 season. The GT also features an all-new, port/direct dual fuel-injection setup to improve engine response, plus a low-friction roller-finger-follower valvetrain. The twin-turbocharged EcoBoost V6 will be paired with a seven-speed dual-clutch transaxle for near-instantaneous gear changes and exceptional driver control. 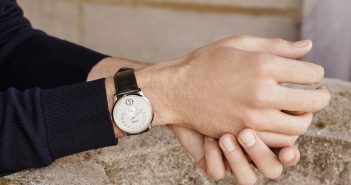 We’re looking forward to seeing the GT in action . . .